Moneyball NBA contests are back! A week into the NBA season and the huge DFS contests continue. The NBA 2016/17 season is just over a week old and the Moneyball.com.au daily fantasy contests have been huge! More than $100K has been won in the first week alone and the big dollar guaranteed prize pool contests continue. 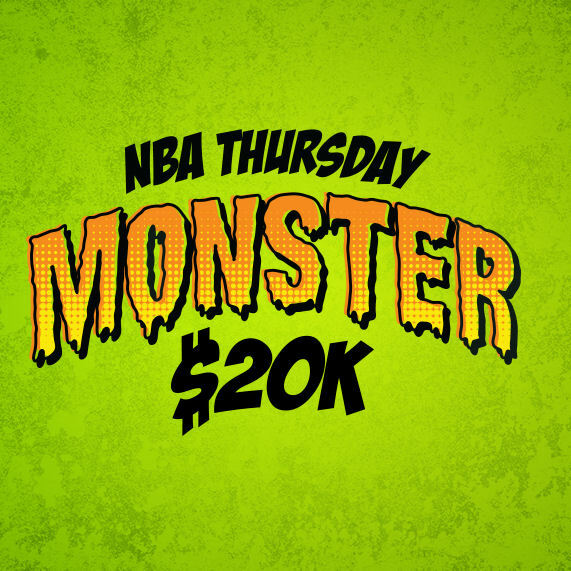 Tomorrow’s Thursday Monster Special is worth a whopping $20,000 with $3,000 for first, $1,250 for second… and paying all of the way down to 465th. Huge cash and plenty of chances to win. Pick your team of nine (2 point guards, 2 shooting guards, 2 small forwards, 2 power forwards and 1 centre) under the $60K salary cap and follow your team live. On Thursday, the Monster takes in 10 games with lockout at 10:10am AEDT. Keep an eye out on the Moneyball website and check out the Lobby for the contests. Don’t forget you can play NFL, EPL and A-League at the moment with PGA added along with test match DFS. Click here to play Moneyball. 18+ and gamble responsibly.